MINISTER PAT RABBITTE has sided with some of his fellow Dublin Labour TDs in a row with Government over how Local Property Tax (LPT) could be spent outside Dublin. In a Dáil debate yesterday, Labour TDs Kevin Humphreys, Aodhán Ó Ríordáin, Brendan Ryan and Robert Dowds called on the Government to ensure that Dublin is not “ripped off” – with Dowds adding that “we will be in a very rebellious state if progress is not made”. Humphreys said that ‘it can hardly be considered as fair’ that Louth will get more than triple the funding of Dublin from the Local Government Fund despite paying 10 times more in LPT. Dubliners are expected to pay an estimated €80 million in property tax next year. There is a Government provision which says that 80% of the revenue collected in a local authority must stay in that local area, but the remainder may be distributed elsewhere. While this may be considered unfair in light of the pledge that the LPT was for local services, the dispute appears to centre not on LPT funds in particular, but on how other more traditional Government grants are distributed. The four TDs argue that, if some of Dublin’s LPT is being used elsewhere in the country, the capital should not receive proportionately less from other centralised funds. Humphreys referenced the Local Government Fund from which he said Louth will receive €8 million compared to Dublin’s €2.6 million. Robert Dowds says that the motion tabled in the Dáil last night was not about rebelling, it was about ‘sticking up for Dublin’. 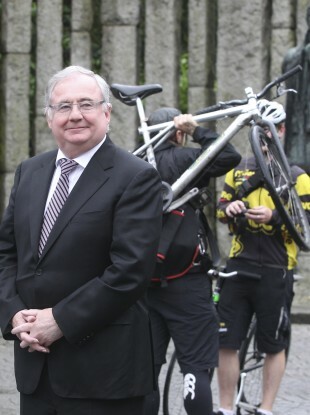 “As we predicted, Dublin has brought in a great deal more than other councils. We wanted to put down a marker that we wouldn’t be deprived of central government funding because of that. Dowds said he felt the motion been portrayed as “a Fine Gael versus Labour thing” but said he knows Fine Gael TDs who would support the motion. What I think is being voiced here is that, given that property prices are higher in the urban regions and that the housing is more dense, there will be a larger income of revenue…I think what my colleagues here are raising is that they don’t want to see a corresponding diminution in the traditional central grants from government to those particular local authorities. “Okay, property prices are higher but it’s not just housing that’s more dense, the problems are more dense and the challenges are more demanding,” he added. There is an equalising measure built into the legislation to regulate funding and while there have been concerns that rural authorities would suffer as a result, Rabbitte said that following cabinet discussions he “doesn’t see any departure” from them. There is a need to recognise that the LPT base outside of the cities and main commuter zones is narrower and there will be a requirement to equalise the income position of those local authorities to ensure an acceptable standard of service delivery is maintained throughout the country. Email “Rebel Labour TDs warn of "rip off" over Dublin's property tax being spent in rural areas ”. Feedback on “Rebel Labour TDs warn of "rip off" over Dublin's property tax being spent in rural areas ”.